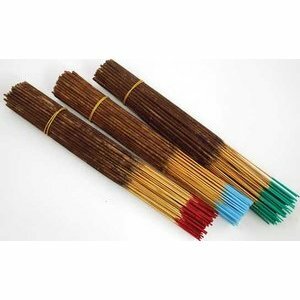 Auric Blends uses their signature scents to create these distinct fragrances for their incense sticks. The sticks are color coded for easy selection. Enjoy these for meditation, mood setting, or as a welcome scent for any room or surrounding. Stick count varies 90-95.